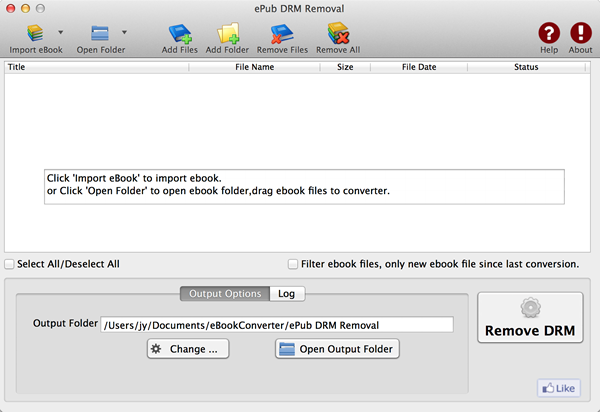 ePub DRM Removal (mac) is ePub drm removal Mac version, quickly and easily remove ebook ADEPT DRM protection for epub files with 1-click. 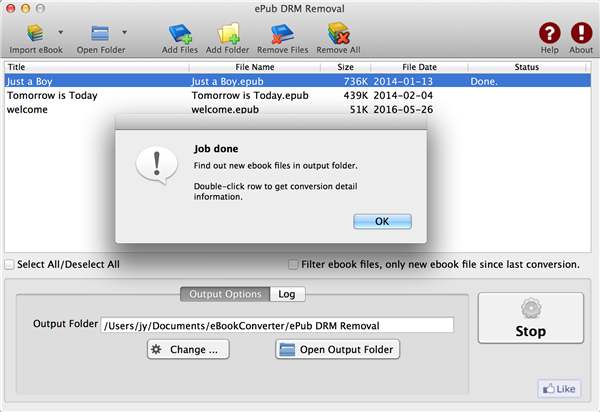 user can view ePub ebook on iPad, NOOK, Sony Reader or other device without limitation, user also can print Digital Edition ebook. 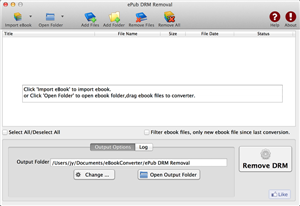 It is very easy to user, just 1-click to decrypt epub ebook. 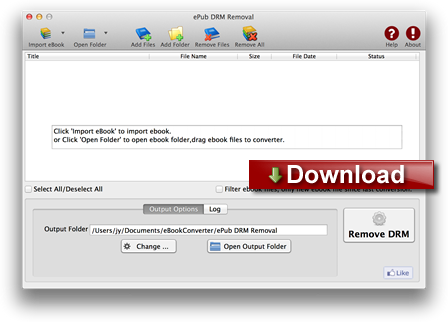 Create a decrypted ePub file, no need to backup the source files. OverDrive eBooks, Public library ebook. All other epub ebook opened in digital editions. 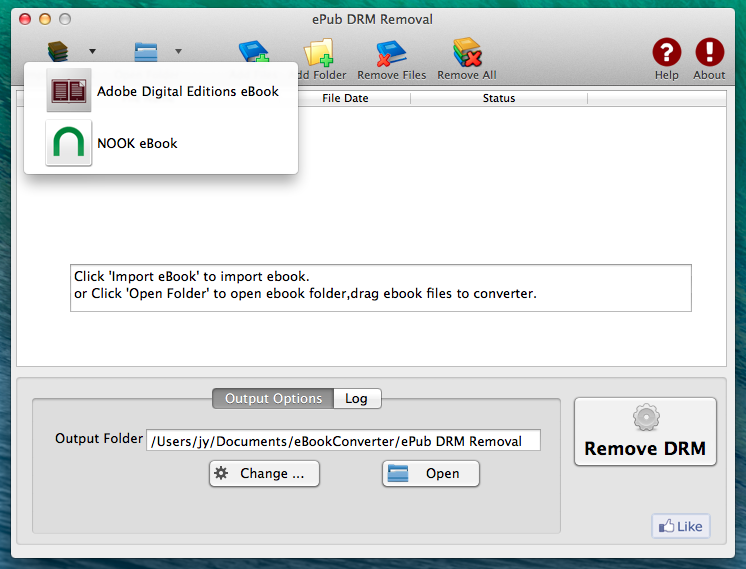 How to remove ePub DRM ? 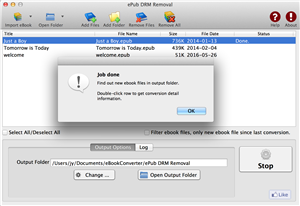 EPUB is a free and open e-book standard by the International Digital Publishing Forum (IDPF). 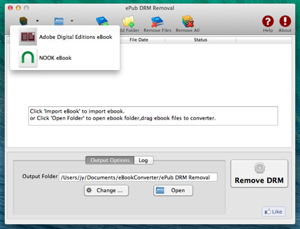 Files have the extension .epub. EPUB is designed for reflowable content, meaning that the text display can be optimized for the particular display device used by the reader of the EPUB-formatted book. The format is meant to function as a single format that publishers and conversion houses can use in-house, as well as for distribution and sale. 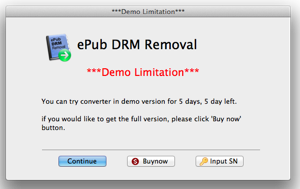 An EPUB file can optionally contain DRM as an additional layer, but it is not required by the specifications.In addition, the specification does not name any particular DRM system to use, so publishers can choose a DRM scheme to their liking. 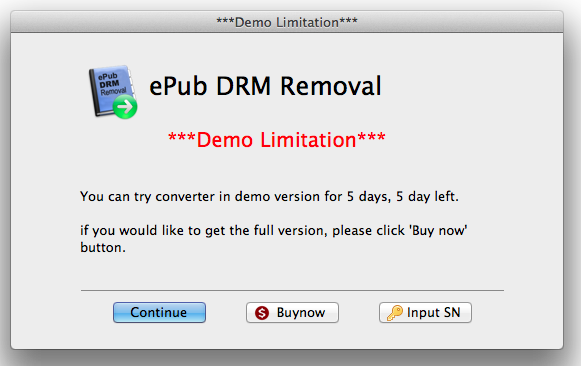 However, future versions of EPUB (specifically OCF) may specify a format for DRM. How to read public library ebook on Android tablet/phone ?